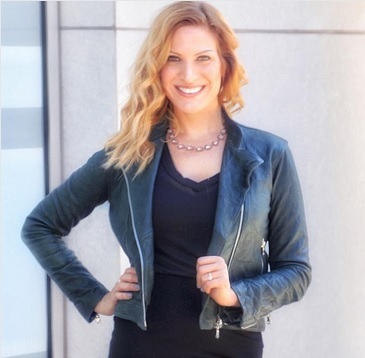 Introducing Rayne Parvis, Los Angeles-based certified Style Coach™. Rayne is an established personal stylist, TV co-host, media personality and author of Ultimate Guide to Style: From Drab to Fab! Rayne. Are you look for expertise about fashion or style? How to look thinner - without losing weight! Through her brand, Style by Rayne, she has been featured as a style expert on award-winning podcasts and national radio shows, including co-hosting “The Show and Tell Show” for several episodes. She has been LA’s go-to stylist for makeovers since 2010. She hopes to use her style and fashion expertise to change lives and make the world a better place one closet at a time. Rayne Parvis entered the fashion industry as a fit model 14 years ago, after which she began consulting for companies like Felina, Manhattan Beachwear, Sunsets Inc., Anne Cole and Frederick's of Hollywood, teaching how to make a garment FIT and FEEL better on the customer before going into production. As a personal stylist, she works with everyone from established corporations, like Macy's, to the single woman who is ready to mingle, to busy parents and professionals who desire a more polished image. She helps her clients shine from the inside out and revamp their look, while her down-to-earth essence and undeniable humor make the experience fun for all involved! She offers consultations regarding closet audits, color analysis, personal shopping, styling, image makeovers, style coaching, etc. Thank you for taking the time to read our fashion stylish blog post. We hope that you have found this news to be informative. If you have comments or questions, please add your thoughts in the discussion area below.